Exploring the Transformational Impact of a Whole Person Learning Approach to Coaching and Mentoring. 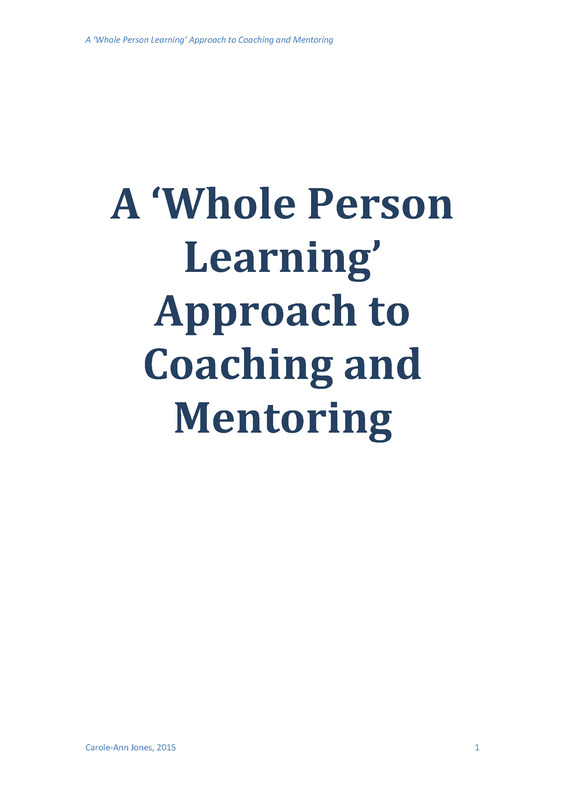 This paper offers a summary of research carried out in 2014 exploring the extent to which a Whole Person Learning approach to Coaching and Mentoring results in transformations in the workplace. Carole-Ann Jones also co-facilitates the Oasis programme Coaching and Mentoring with Head, Heart and Soul.